Are your efforts to get a quality water heater proving futile? Or are you simply eager to know how to get a water heater whose performance is unparalleled? How about you try a tankless water heater? With the recent escalation in technological advancements, perhaps this is one of the greatest innovations of the century. Designed to permanently eliminate the need for a tank in the heating process, it embraces modern technology to beat all odds and guarantee constant hot water at the point of use. How is this possible? If this is a question you are about to ask, how about we delve into the nitty-gritty of this amazing innovation and attempt to unearth the answer to that question. Lets break it down by first defining what tankless water heater is. Also known as continuous flow, flash or on-demand water heater, this is a device which heats water without the use of tanks. Tankless water heaters work by heating water as it passes through them without necessarily retaining any water internally. The only water in this device is the one in the heat exchanger coil. This water heater makes use of copper in the heat exchanger coil owing to the fact that copper has high thermal conductivity. Copper has an easy fabrication as well; this makes it quite ideal for use in the heat exchanger coils. Although tankless water heaters are oftenly turned off, presence of flow sensors notifies it when water passes through. This activates and triggers it to start operations immediately. Using a negative feedback technology which perceives low temperature as negative aspect, it manages to heat the water to the required temperature. It comes with durable coatings and acid resistant coating to withstand acidic environment and high temperatures of up to 1000 C.
Previously designed to use electricity as the main power supply, recent modifications have made it even more economical. It can use gases like propane for heat supply which helps slash down electricity bills and save a handful of bulks which would be used in footing huge electricity bills. It is quite ideal in the kitchen as well as bathrooms where hot or warm water is required at any time. What are the benefits of using tankless water heaters? Unlimited supply of hot water: Unlike their tanked counterparts which are subject to water exhaustion, tankless heaters for you water never run of water since the water they heat comes directly from the main water supply in the house. 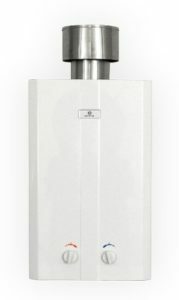 With this, tankless water heater guarantee 24/7 supply of hot water whenever the need arises. Perhaps this is one of the reasons that make them quite popular. Saves on physical space: Isn’t this the greatest news to any home owner? Space is scarce and an innovation which saves space is always warmly welcomed. As we all know, tankless heaters do not need huge physical spaces unlike their counterparts. This makes them quite ideal for anyone wishing to save on space in their homes. This is quite a relief since it makes them easy to fit into any room without having to worry about the space they will occupy. Saves energy on long-term: Although the initial cost of a tankless heater for your water is high, It is worth noting that it saves on energy usage in the long-run. This is because it only uses energy when called upon to heat water and not constantly maintain a tank full of water at a constant temperature. Maintaining large amount of water at a constant temperature is quite uneconomical considering the fact that these tanks lose heat through conduction. This turns out quite costly. These tankless water heaters come in handy to curb this situation. They ensure maximum utilization of energy supplied. Reduces or minimizes risks of water damage: Since there is no water storage, the risk of water damage resulting from ruptures or leakages is eliminated. What’s more, stored water calls for utmost attention in order to keep it safe. With tankless heater, these are not part of the worries one has to put up with since no water is stored; It is however worth noting that minor damages resulting from faulty pipes are expected although at low chances.These minor damages only occur under severe conditions. Saves on water Usage: As a control mechanism, tankless water heater saves on the amount of water wasted. This is because those on the far ends or the remote areas of your building do not have to necessarily run the taps considering the time needed to wait for it to get to the faucet. This alters one’s water usage habit which in turn saves on usage. Temperature compensation technology: One aspect of heaters is the fact that temperature and pressure gradually decreases after continuous use. This is such a negative aspect since it would alter one’s required temperatures. However, good news to anyone planning to get tankless heaters is; you do not have to be a victim of this situation. Tankless heaters have the solution to this situation and are well equipped to ensure constant temperature and pressure is maintained. This is such a relief to the users and helps solve this problem by use of what we call flow control valve to stabilize pressure. The fact that these heaters apply inverse proportionality technology ensures that temperatures never seem to get lower than require even with constant and continuous flow. Efficiency: This is such a great aspect of any water heater you should look at. An ideal tankless heater needs to be quite efficient in its service delivery. This is because the efficiency of any energy consuming product is critical before purchase. Why is it so? Efficiency goes a long way in determining overall energy requirements and consumption. You wouldn’t want to get a machine which would increase your energy bills. For this reason, you need to look at how efficient it is. Form of energy used: This is yet another important aspect to consider while choosing a tankless water heater for your home. Depending on what you feel ideal for you, you can choose between electric or gas. This is important because the type of energy a given tankless water heater requires goes a long way in determining the amount you have to incur on energy bills. Flow rate: This is yet another factor to consider when choosing a water heater for your home. This is because different flow rates are required for different locations and therefore flow rate should be in accordance with wherever you want to have it installed. Operation: This is yet another important factor you need to consider when looking for a tankless water heater. It is obvious that you do not want to get a tankless water heater that will always have you call your neighbor to operate it for you or get someone to your home to help operate it. For this reason, you need to look at how easy the tankless water heater can be operated. The easier it is, the better it is for you. In the world full of options, possibility of falling for the wrong product is real. Let’s take a look at several available tankless water heaters and find out which one is the best. We will use several pillars in trying to determine which one is the best in the market. With its patented modulation technology which is self-modulating, this product graces the market with an outstanding performance. It requires breaker quantity of three 40 Amp which makes it amazing an product. With 27 KW power supply at 240 Volts, it ensures constant and rapid heating of your water. It comes with a recommended 200 Amps electrical panel and digitized temperature control technology. It is known to save large amount of storage space. With the above technology, this heater is simply awesome. It ensures that you never run out of water; not just water but hot water. Going for about $569.00, this a product you ought to consider when you go out fishing for one of these amazing products. This is yet another tankless heater in the market worth your bargain. It comes with a gas regulator which is 9’CSA approved as well as a hose for use with a standard 20 lb tank. These two factors make it quite amazing considering the fact that it also comes with an automatic timer. The timer ensures a 20 minutes safety shutdown which is automated. The timer resets when water starts flowing and when it stops flowing. This is such a safety precaution considering the fact that water could flow with no one being around resulting bin a lot of wastage and in severe situations; massive destruction of property. With its stainless steel rain cap, its quality is guaranteed. It also comes with a garden horse adapter of ” NPT which makes it quite ideal for whole home use. Its 74,500 BTU’s make it a superb product for your home. It guarantees utmost satisfaction. Going for $ 218.35 when new and $188 when used, this is a product worth your money. This is yet another water heater we need to look at. It comes in 140,000 BTU; you got me right, that isn’t a typing error. This is such an amazing ability considering others in the market. With its 6.6 GPM maximum flow rate, this water heater has no match in the market. It ensures effective flow of water for your use. The stainless steel vent is amazing, coming in a 4-inch category; it is arguably one of the best features of this tankless water heater. Its energy factor of 0.81 to 0.83 is outstanding giving it ultimate performance. The sophisticated nature of this product is what has contributed greatly into its rise to the top of the market. It is fitted with fully functional inlet and outlet thermistors. These ensure that temperature is kept constant and help in temperature compensation. These features make this tankless water heater quite outstanding. Going for $533.39 while new and $375.00 when used, this is a tankless water heater which guarantees service equivalent to your money. All said and done, I wish to point out that although price should not be your only basis for evaluation when it comes to purchasing a tankless water heater or anything for that matter, it is an important aspect all the same. 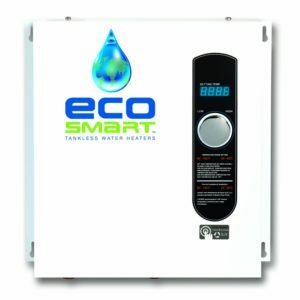 Looking at these three tankless water heaters, Ecosmart tops the list for being the most expensive. It is also worth noting that low price should not always be used to insinuate low quality. 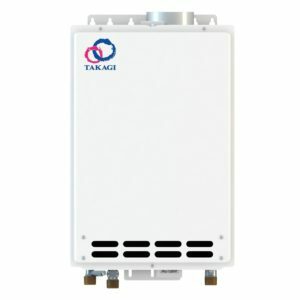 When it comes to performance, Takiagi is quite effective with a 140,000 BTU. Eco-temp happens to be the least expensive making it easily accessible. It is therefore upon yourself to use the pillars as well as basis highlighted in this content to decide on which product best suites your requirements. Consider the price as well as performance and ease of operation then make a decision on which of these products is best for you. Armed with the above information, perhaps it is time you went out to get one of these amazing products for your home.